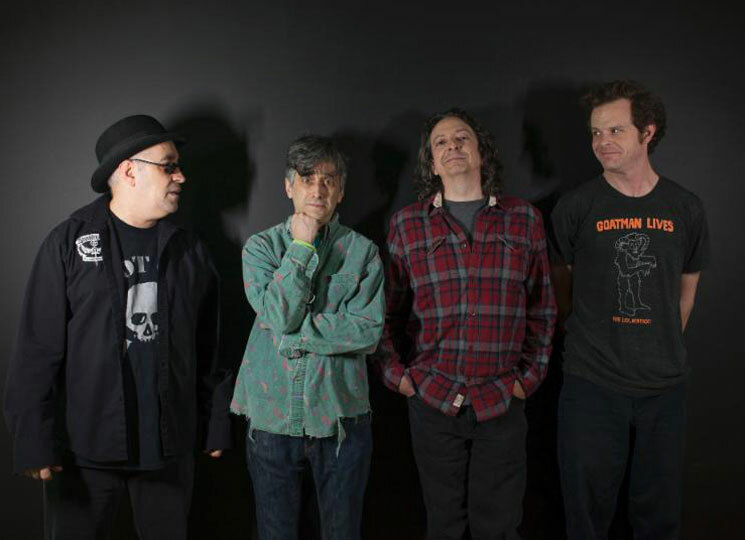 Attention punk rock girls and things that only eat hippies situated on the left coast: satirical punk crew the Dead Milkmen have announced they'll be heading out west for a quick spring tour. The Philly outfit recently revealed their upcoming tour plans, which have them kicking the trip off at Vancouver's Fortune Sound Club on April 17. Sadly, this is the only Canadian date for the band, with the rest of the trip finding the Dead Milkmen hitting clubs beneath the U.S. border. You'll find the itinerary down below. While the trip will likely see the group playing popular cuts from the back catalogue like "Smokin Banana Peels" and "Methodist Coloring Book," the band will also be promoting their 2014 release, Pretty Music for Pretty People. You'll find a video for the album's funk-punk number "Ronald Reagan Killed the Black Dahlia" down below.